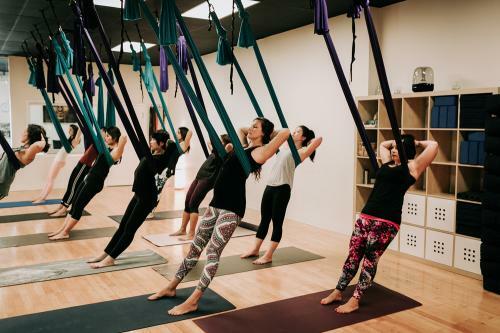 Yoga Generation one of the only studios in the lower mainland offering Aerial classes. 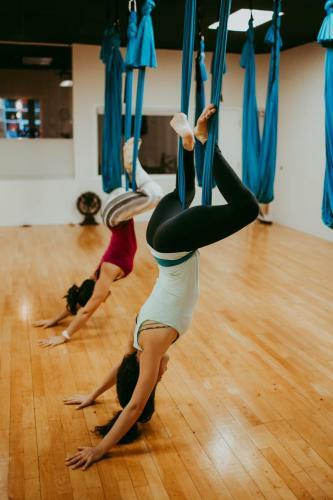 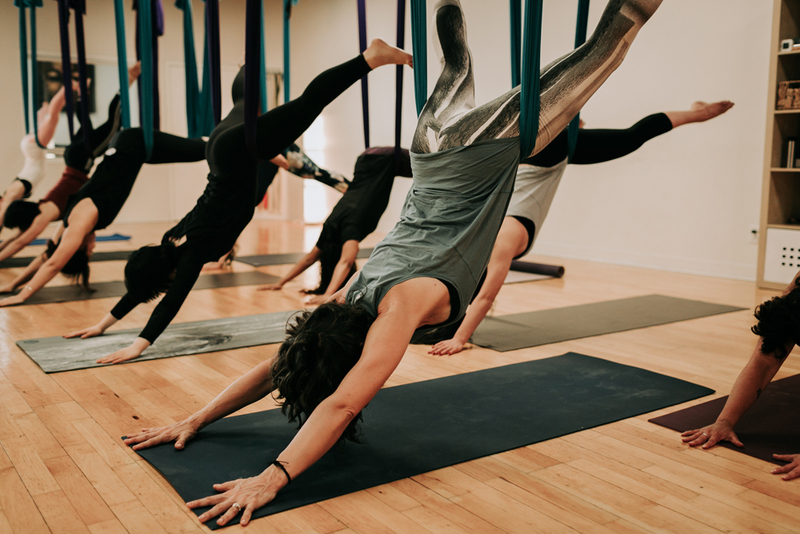 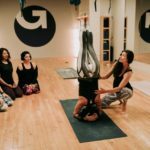 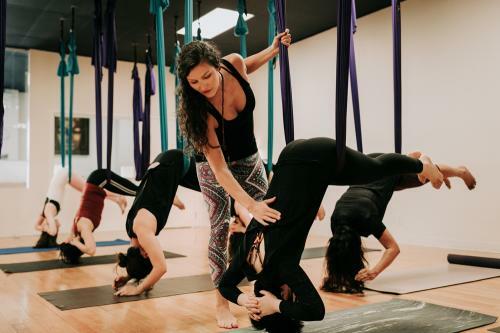 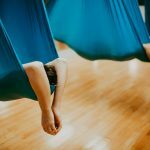 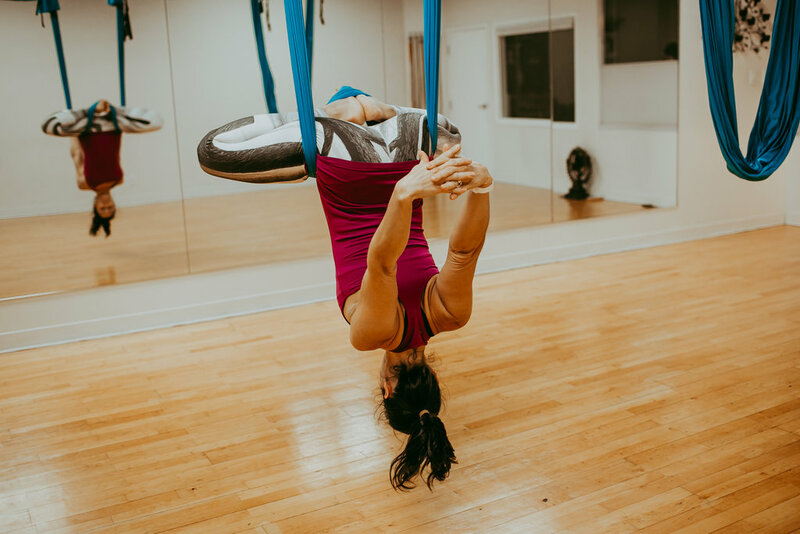 Aerial yoga is a new type of yoga that uses a silk hammock as a tool to help students achieve and deepen traditional yoga positions. 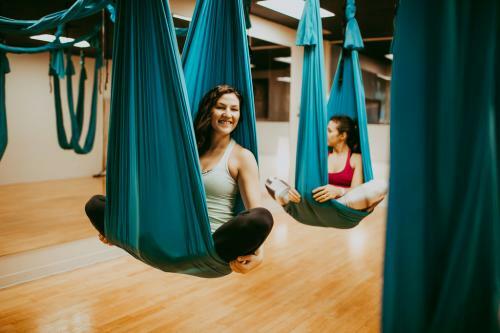 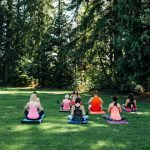 The weight of the body is either partially or fully supported by the hammock as you move through a variety of yoga postures including inversions, hip openers, hamstring stretches, and restorative postures. 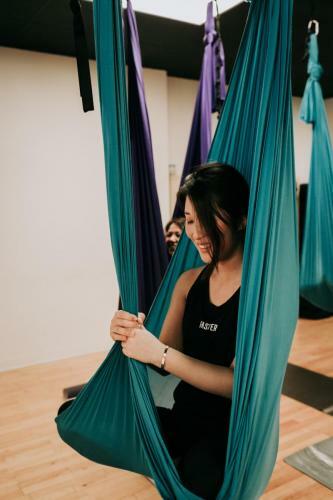 The hammock provides a unique and fun take on traditional yoga, while also allowing students with limited mobility the ability to deepen or hold postures that would have previously been inaccessible. Anyone can attend an aerial class if they are mindful and respectful of their own conditions. 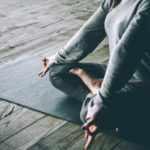 We recommend extreme caution to people who have/are very high or low blood pressure, easy onset vertigo, pregnancy, glaucoma, recent surgery, heart disease, osteoporosis, bone weakness, recent head injury, cerebral sclerosis, propensity for fainting, artificial hips, carpal tunnel syndrome, severe arthritis, sinusitis or head cold, recent stroke or botox injections (within 6 hours). 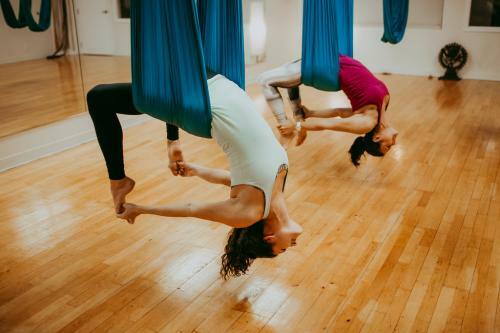 You must be under 250 lbs to attend an aerial yoga class.